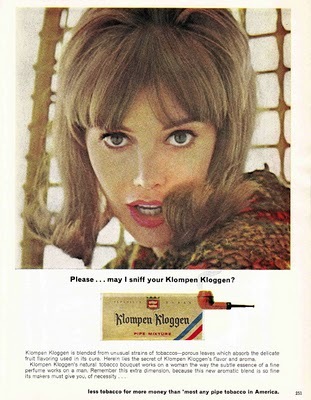 (G)REENWICH (V)ILLAGE (D)AILY (P)HOTO: may I sniff your Klompen Kloggen? Gotta' love the advertising from the 1960's and '70's. So it's time for our annual competition, is it? lol, I would not wont to sniff somebody elses kloggs or tabaco... I think the brand doesn't exist anymore. Can't think of a comment, except this is a competition? I'd walk 50 miles in my Klompen KlogGens just to have her smell them.